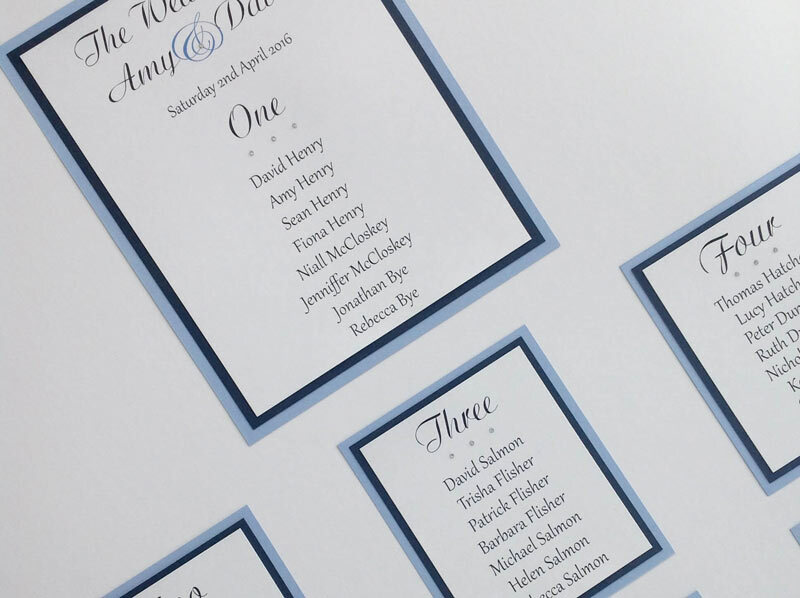 Finished a wedding stationery order for a couple ‘Amy & David’ who married at Milton Abbey on Saturday 2nd April 2016, I created their Guest Place Cards, Table Numbers, Menu’s and Table Plan in my ‘Elegance Design’. The colour theme was cornflower blue and navy embellished with some silver crystals. All Rights Reserved. Copyright @ Handmade Wedding Stationery by Emma Farwell.